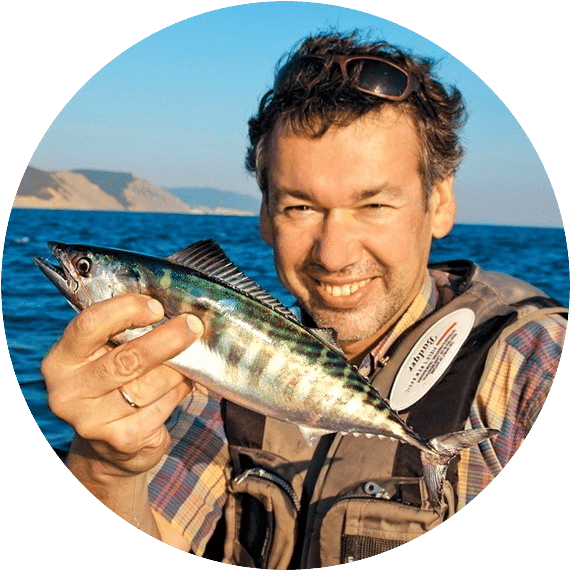 Being a successful fisherman, you know that fishing requires a lot of knowledge about fish behaviour – where to find and how to attract them; but also great equipment. From the choice of lures and lines, the choice of a rod directly influences your fishing performance. So, how to choose the best fishing rods for a better game? Choosing the right fishing rod is often compared to choosing the right pair of shoes. There are so many different sizes and features that you may find it overwhelming to find the right one. You really need to try different combinations before you arrive at your perfect choice. 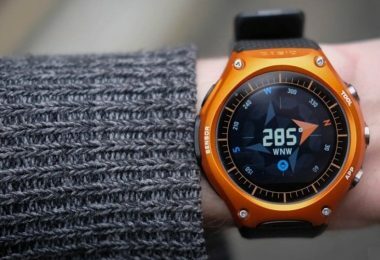 Today we’ve compiled a list of a few products that are worth trying out when you are trying to decide on a perfect fit. So read on to find out more about features of popular fishing rods and see if any of them could be suitable for you. 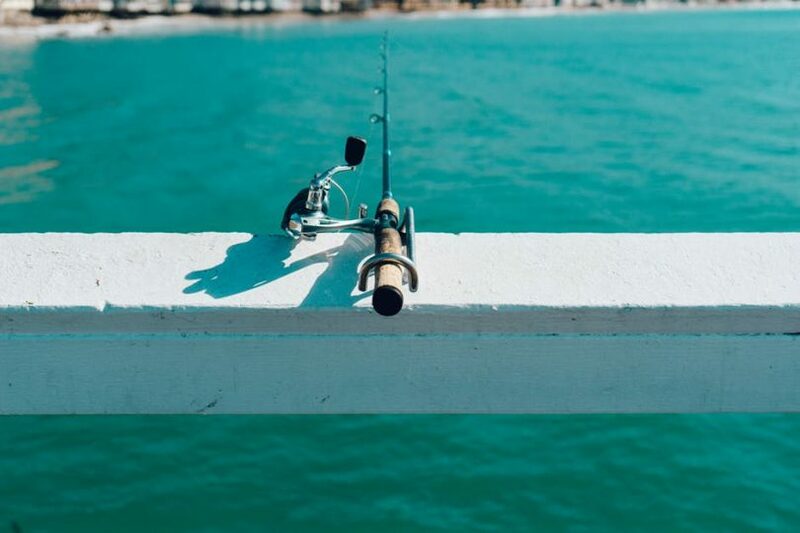 Rods range in length from 4 feet up to 14 feet, and they usually disassemble for easier transportation. Depending on the type of fishing you do, you will benefit from different rod length. So, shorter rods cast shorter distances and offer better manipulation, but are usually used with lighter lures. They are more suitable for big game fishing and trolling. Longer rods cast further distances and are more suitable for surfcasting, and usually require heavier lures. 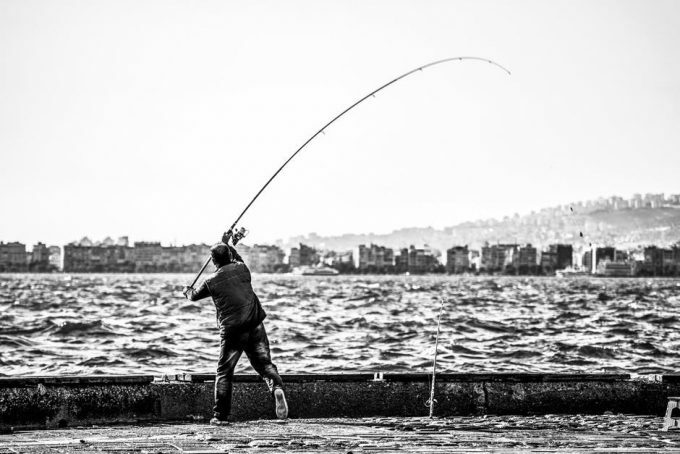 The amount of weight a fishing rod can carry, or its strength, is directly related to its weight. Fishing rods are usually designed to cast lures with specific weight, and depending on the numbers, you can conclude what is its strength. The action is where the rod bends and it would depend on the kind of fish you plan to catch. Fast action rods will bend in only the top third or less of the blank, and are good for heavy fishing. Slow action ones will bend starting in the lower third of the rod, and can be used to catch smaller species. So it is important to decide on the kind of fish you’ll catch and the action of your fishing rod. The material the rod is made of will determine its strength. Fishing rods are usually made of graphite, fiberglass, or a combination of the two. Graphite rods are more expensive and more brittle, but they are lighter and stiffer than fiberglass rods. Fiberglass rods are heavier, but much more flexible and cheaper. A combination of both materials is the best for fishing in a variety of locations and multiple types of fish. The power of the rod is the pressure that needs to be applied to make the rod bend. Rods can be heavy, medium, or light power. Heavier rods require more pressure to bend compared to lighter ones, and deciding what fish you’re going to fish will determine your choice. Remember that the higher the power, the bigger the fish you can fish with your rod. There are two types of reels: spinning and casting. 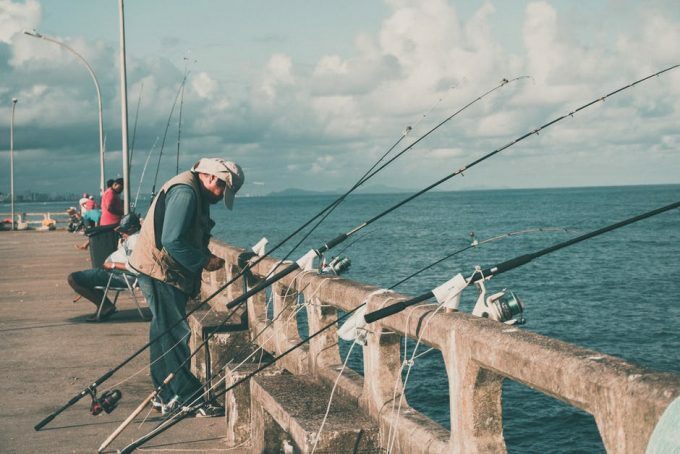 They correspond to the different fisherman needs, and the choice of rods also depends of the type of reel you’ll be needing. Spinning reels are better suited for beginners, and although they allow for less control, they are easier to use. Spinning reels work well with lighter lures and baits and are more universal. Casting reels allow for more control over the accuracy of the cast and allow for heavier lures, but they are more difficult to use, hence more experienced fisherman prefer them. Now that you know a little bit more about fishing rods, it is time to review some of our favourite products. Description: The Plusinno Carbon Fiber Telescopic Fishing Rod could be the best combo for a beginner, especially the full kit because you wouldn’t need to buy other equipment along with that one. The kit has just enough accessories to help you start fishing. On the other hand if you’re opting for the reel and rod combo then you’ll just need to purchase the lures, hooks, and additional accessories. Depending on your circumstances you can choose what works best for you after comparing the prices. The pole is a mix of carbon fiber and fiberglass which makes it quite durable too. The rod may be a little stiff though and you might have a feeling that it may break off. Some customers who have used it feel that the rod should have been made of stronger material since it’s a telescopic rod. Again the reel is very easy to operate with a handle that can be fitted depending on whether you are a right handed or left handed person. The major plus is that you can collapse it to a shorter length which will let you carry it around easily in your fishing bag or backpack. This rod comes with instant anti-reverse with its high strength gear and large line capacity. It has a gear ratio of 5:2:1 and is very portable. The rod is lightweight and easy to collapse which allows you to fit it into your backpack. The bottom of the pole has a small storage spot where you can keep hooks or lures. In addition, these rods come with a 12-month warranty and for any issues, just contact the Plusinno customer support. Related: The Plusinno Telescopic Rod is a complete set, but it doesn’t come with lures. We recommend starting the game with the PLUSINNO Fishing Lures Baits Tackle. Description: The Eagle Claw Pack-It Spin Combo Telescopic Rod is best used for freshwater fishing or bass fishing but some of the customers who have purchased this combination are of the opinion that the rod is quite worth the money but the reel is not. Many have suggested just buying the rod and matching it with a better reel. The rod is said to be quite sturdy and even suitable for kids when they are learning to fish. At the same time, it is said to have broken in half even at the first cast and that it doesn’t fully retract sometimes. Some feel that the reel is too small and also that the line tangles up a lot. Though a few customers have had issues with the rod, the majority opinion is that they did get their money’s worth. The reel could be bought separately, though. The major highlight is the low price and the rod is said to have performed well enough for it. In addition, since this is a telescopic rod, it’s easy to carry in your backpack and is lightweight. Related: Together with this product we recommend buying the RITE-HITE Dual Fishing Rod Holder, on which you can place two rods and wait for a fish to take your bait. Description: Since the Zebco Spincast Combo is quite heavy, it may not be fit for children or beginners. 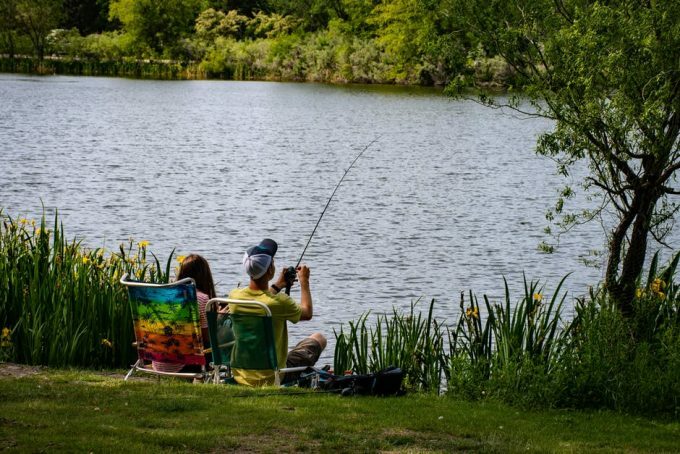 However, some have mentioned it was great even though they were very new to fishing because it was easy to handle and also sounds an alarm when a fish bites your line. It can be used to catch heavy fish and can even handle strong water currents. This rod can also be taken apart from the middle which makes it easier to carry around and the reel handle again can be switched to either side for left handed or right handed retrieve. Among the cons, it’s said that the line gets tangled up too quickly and that the reel may be too large. It may not retrieve soon enough if the fish is heavy and keeps moving. So even though the rod can hold large fish, the reel may not be able to retrieve it quickly. It may not be suitable for saltwater fishing either. 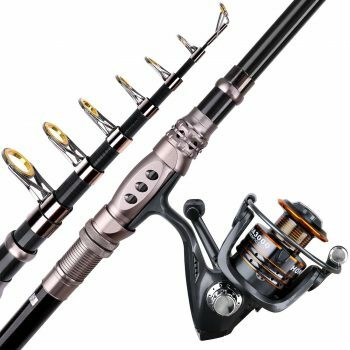 This rod has Multistop Anti-Reverse and it comes with a gear ratio of 2:6:1 and a line capacity of 82.29 meters which is also suitable for heavy fishing. With Auto Bait Alert, the bait alert clicks when the line is grabbed, signalling the user that something has been caught. This product also comes with a limited warranty of one year. Related: Together with this product we recommend buying the Eagle Claw Kahle Fishing Hook, which comes in 101 hooks per pack. 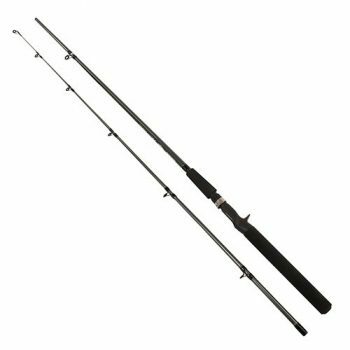 Description: Most customers have said that Okuma Tundra Surf Glass Spinning Rod definitely lives up to its price but that it does take you some effort to throw. This means it may not work that well if you’re a beginner. It would also give a great casting distance with larger guide diameters which are unlike other surf rods. The rod is said to be quite heavy with a very heavy action which an average human may not be able to withstand for long. 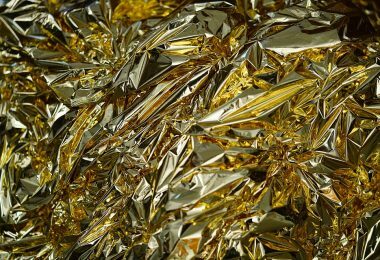 It is also said to corrode easily and some have mentioned that the guides even broke off due to corrosion. This could mean that this rod would not be very good for saltwater fishing. The major thing you need to note here is that this fishing rod may not be suitable for fishermen who are not very experienced. You may also need to practice quite a lot of times before going fishing so that you have an idea about its weight and action. This is a highly durable rod as it is made of fiberglass and has been tested for quality. It comes with a corrosion resistant reel seat that is made of stainless steel. This rod comes with a 1-year warranty. 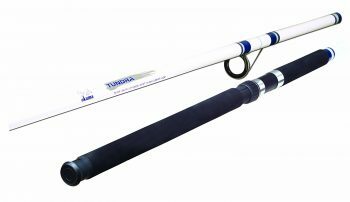 Related: The Okuma Tundra Surf Rod works best when partnered with a reel from the same company. That’s why we recommend buying the Okuma Helios Lightweight Spinning Reel together with this product. Description: The main advantage with Shakespeare Travel Mate Pack Rod is that it’s lightweight and portable, which is usually the case with telescopic rods. Most customers who purchased the rod say that it performs far beyond what it costs since it is very durable and strong. The shorter rod could be very easy for kids to use but might not work so well for adults as it may be a bit small. 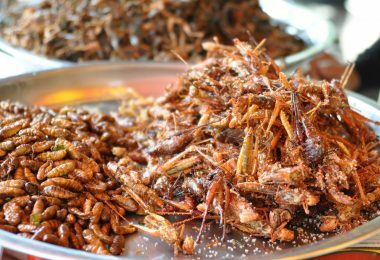 It’s best for small to medium fish. However, the rod is not so easy to collapse after a while because it becomes a little hard to push it back down. 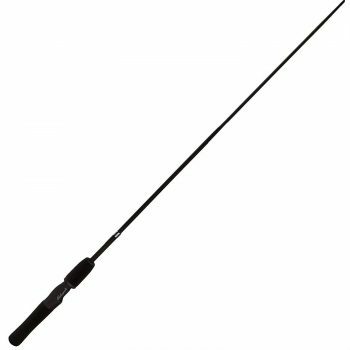 Another point many have noted is that the 6-foot rod is more of a light action rod rather than a medium action which flexes close to the tip. These rods may not be very suitable if you are a serious fisherman but could be used by someone who fishes moderately from time to time. It is very easy to transport because it is collapsible, making it easier to bring among backpackers. The overall opinion is that you do get what you pay for. Related: This rod doesn’t come with a fishing reel, so because of compatibility reasons, we recommend buying a reel from the same company, the Shakespeare Crusader Spinning Reel. Description: The Shimano FXC Casting Rod is be great for people who are just beginning to fish and want to start on a low budget. The rod is very durable so it lets you practice very well before you can move on to the high-end ones later on if you feel so. It is also good for travel because it could fit into the trunk of a small car quite easily and is also good for trolling. This is another fishing rod that would be perfect for kids who are learning to fish. It’s mainly good for lightweight lures and when you plan to catch light to medium fish. Though it is strong it may not withstand a large fish. This rod is said to be one of the cheapest available in the market today with a quite good quality for the price and does not wear off even if you use it often. However, the rod is said to be heavy and uncomfortable to use by a few customers but on a whole, this one lives up to its price too. If you are just looking for a low-priced fishing rod when you are learning to fish, this could be a good choice. Related: Make your fishing adventure productive with this Shimano Casting Rod and a Shimano Spinning Reel. Description: The Crystal River C/CTFK1 Fishing Rod is especially goofed for learners as it is quite an inexpensive kit to purchase. You wouldn’t need to buy additional accessories to start practicing either. The rod again can be used till you reduce enough to get a high-end one when you want to. If you are making your purchase with this thought in mind, it could be a great pick. At the same time, the flies that come with the kit are said to be bad quality and may not even be good to use when you actually go out to fish. They may be just useful when you practice casting for the first time before going fishing. The reel is plastic and performs average. The rod is suitable to catch small to medium fish and would probably not handle a heavy one. It’s basically the best starter kit for a beginner that would not break the bank because this rod is quite cheap for a fly fishing rod. This combo is great if you are just learning to fish as it comes at a good price and includes everything you need to begin fishing. It would be a good option if you are learning the basics of fly fishing would help you gradually make it a hobby. Related: Travel with your rod and reel without worrying about its condition by putting it in a Juntu Fishing Rod Carrying Bag. 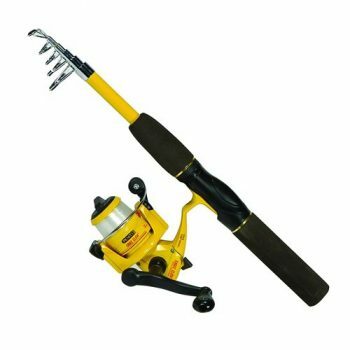 Description: This Rod and Reel combination is yet again suitable for kids and beginners. 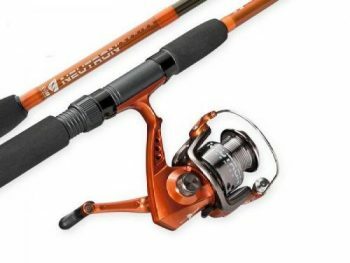 The South Bend Neutron Spin Combo is cheap and durable, which are the two important traits you would consider when you are a novice. It is said to be a great rod with a light action that can be used to catch small to medium fish. It is also said to hold quite well when ice fishing too. The rod may be short and so you would not be able to cast longer distances. The line could also tangle up quickly which might make it difficult at times. The combo would serve well as a beginner’s kit which could be used for practice till you want to upgrade to more expensive gear. It is one of those combos that is available at a comparatively cheap rate. 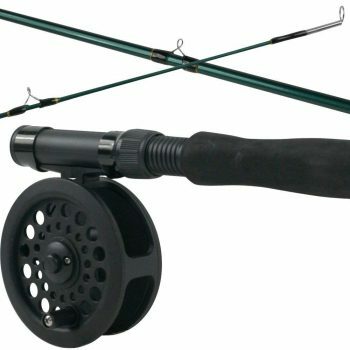 If you just want to teach your kids to fish or want to take up fishing as a hobby, you could start with this rod and reel combination. 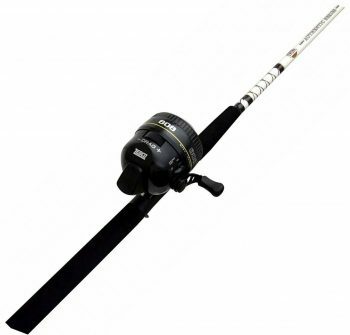 For its price, the rod and reel combo is very durable and doesn’t break off that quickly. Related: Impress your fishing buddies as you share with them your Aluminum Fishing Rod Rack Holder while resting from your fishing game! So those are popular products you could try when you are still trying to find the fishing rod and reel that is best suited to your needs. The list we have put together does not include expensive products so you could try them out without spending much. It is always best to try using a product by yourself so that you can actually experience how it feels. You could again think of it as trying on a pair of shoes before you decide if you like it or not. So, what is your favourite fishing rod? We’d love to hear your opinions in the comment section below!